What makes an ordinary life extraordinary? The number of years? Mom was closer to 94 than 93—that's pretty extraordinary. 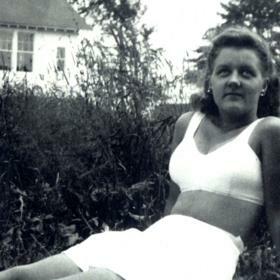 Her life was ordinary on the face of it: grew up with brothers and a sister, mom, and dad; married a soldier returning from World War II; had children and grandchildren and great-grand children; was a church member; had friends; went on vacations. All pretty standard things. But ask her and she would tell you about how extraordinary her husband and marriage were. Her children and grandchildren and great and great-great grands were all, of course, extraordinary. She had an extraordinarily good time doing things at the church, especially with the kids. It didn’t matter whether it was her church or my brother's church in Newaygo. 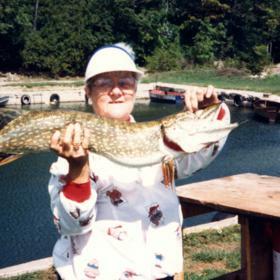 She had lots of friends—some were camping buddies and some were neighbors. 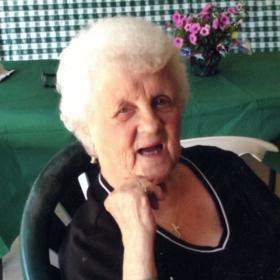 She had a friendship with Mary Lou that lasted over 80 years. Extraordinary! When she talked about vacations, it was usually Manitoulin Island: great times with extra kids along and lots of fun. After the kids grew up, it was dad and her and lots of fishing. 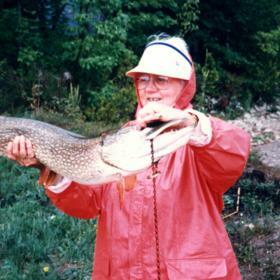 She could show you pictures of her extraordinary catches of Northern Pike. So what made all these ordinary happenings extraordinary? I believe it was the love of Christ within her that allowed her to have joy in such everyday things. 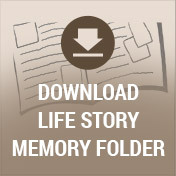 Certainly her life had extraordinary hardships as well. 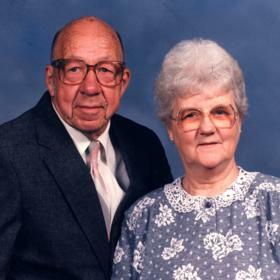 The loss of two babies, the loss of two women who meant so much to her—Aunt Dora and Jeanne Sinke. Certainly the loss of her brothers and of course the loss of her Don. Only faith in Christ could bring her through those losses. Now she has left her friends and family here and gone home to Jesus and the friends and family that have gone before her. Her greatest desire and wish would be that all her friends and family would come to faith in Christ so they would be part of her joy in heaven. Faith in Christ makes this ordinary life extraordinary!